I recently visited the Mariposa Grove on the southern edge of Yosemite National Park. This sacred place holds great significance for all who revere nature. In 1853, failed gold prospector Galen Clark walked into the high country of the Sierra Nevada in search of a healing environment for his tuberculosis and instead he became the first nonnative person to fall under the spell of the ancient giant sequoias in the Mariposa Grove. In 1864, Clark convinced President Abraham Lincoln to turn his attention from civil war and, for the first time, extend federal protection to nature and set aside the Mariposa Grove and Yosemite Valley for their beauty and splendor. Clark spent the remainder of his life as guardian, protecting and advocating for this treasure. Close readers of Aldo Leopold’s A Sand County Almanac know that the very next year John Muir tried unsuccessfully to buy and similarly protect a beloved prairie meadow from his brother, solely out of love for the sheer beauty of the flowers there. Leopold beautifully wrote “1865 still stands in Wisconsin history as the birthyear of mercy for things natural, wild and free.” Small wonder that when Muir moved into the Yosemite Valley in 1869, he and Clark began a long friendship and conversation about a radical idea in those rapaciously extractive times – the idea that nature is worth saving for its own sake. Sadly, as I walked amongst the great trees, I saw abundant evidence that we are failing at the great task Roosevelt set before us. All the great sugar pines, giants in their own right, are dead. A cascade of interrelated environmental stresses attributable to climate change killed them. Terrible drought weakened the trees and a warming climate enabled pine bark beetles to expand their range into higher elevations. Millions of dead, beetle-killed pines of multiple species blanket the western United States now, ready fuel for forest fires of frightening intensity. In fact, at the nearby Nelder Grove, a terrible fire burned through this summer. Feasting on the dead pines, the fire burned so hot that over fifty of the fire-adapted giant sequoia perished in the conflagration. As forestry and agriculture represent major sources (and sinks) for carbon, what then is the role of another of President Lincoln’s great innovations, the land-grant university? As I look across the breadth of research here and at other agricultural colleges at land-grant institutions, a common theme emerges. Scientists and their students are working diligently to make agriculture and forestry more productive and mitigate their environmental impact. But our challenge is, can we move past “sustainable” agriculture to “restoration” agriculture, developing practices which provide habitat for biodiverse communities of plants and animals, effectively sequester carbon in healthy soil, minimize water usage and produce no contaminated runoff? Will we realize Leopold’s call for a Land Ethic, build on Clark and Muir’s instinct to protect nature, and demonstrate that we can guarantee a future for the diverse landscapes of our planet? Our fate is linked with those of the giant sequoias. 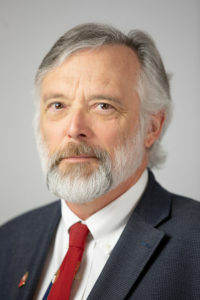 Dr. Barker is a geologist by training and serves as the Associate Dean for Research and Graduate Programs at the University of Wisconsin-Madison College of Agricultural and Life Sciences. Thank you for caring g about our natural resources.